Freda Hansburg is a psychologist and Tell On You is her debut trade thriller. 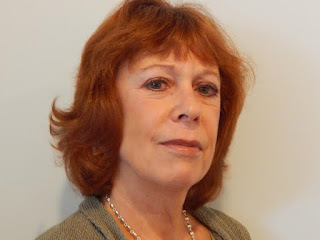 She self-published the suspense novel Shrink Rapt and co-authored two self-help books, PeopleSmart – a best-seller translated into ten languages – and Working PeopleSmart. Freda lives in the South Carolina Lowcountry, where she is working on her next novel and her Pickleball game. 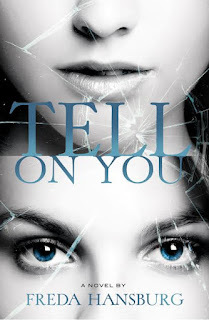 Her latest book is the thriller, Tell On You. As a retired psychologist, I’m fortunate to have time for other pleasures, besides writing. I’m an avid Pickleball player (never heard of the fastest growing sport in America? Google and be amazed!). I also burn some extra calories by working out, riding Trixie (my adult trike), and swimming (well, floating around the pool). I’m into reading, crosswords and Scrabble. I’m happily married and a foodie. Hence, the need for all that exercise. I’ve been writing since I was a kid. In fifth grade, I won honorable mention in an annual Fire Prevention Essay contest and was awarded a medal by the mayor of New York City. I moved on, through poetry, journalism, advertising, dissertation and scholarly publications, to self-help books and finally to my true love, fiction. Joining a writers’ critique group. I had slogged through several drafts of my first novel and thought it was finished. My fellow writers helped me understand why it wasn’t. A few more drafts, and plenty of feedback later, I self-published Shrink Rapt. Truth be told, I’d stay right here in Bluffton, SC. It’s too beautiful to leave. Work on my novel in progress, if I didn’t cop out and go to the pool. Here in the South Carolina Lowcountry. The landscape and local culture would be a strong element of the story. That’s for the book after next. Back to your present book, Tell on You, how did you publish it? I went with a small, new hybrid press – Micro Publishing Media. Lots of authors swear by self-publishing, but I wouldn’t go that route again. Why was writing Tell on You so important to you? Years of practicing psychotherapy gave me an intimate acquaintance with the dark corners of the heart and the foolish, even dangerous, choices any of us can make. I wanted to create a deeply flawed protagonist, still sympathetic enough for the reader to follow his journey. I also wanted to take readers into the throes of a marriage in crisis. Again, years of practice as a psychologist has attuned me to people’s dilemmas, motivations and voices. Take a situation and ask: “What if…?” Then keep going. Tell on You is the story of a married teacher’s reckless infatuation with his beautiful 16-year-old student, who turns out to be a budding psychopath. Readers are saying they couldn’t put it down. I hope you’ll pick up a copy and decide for yourself.